Standup Paddleboarding SUP make teh most of the summer swells an build your core fitness with this new sport, we have good stocks and expert advice, check out the new boards from OXBOX Jimmy Lewis and the new cross over jungle board from Bic Sport. O'Brien Bamboo/Aluminium 3 piece SUP Paddle - simple disassembly for travel and storage. Oxbow performance SUP ideal for wave riding for the lighter good intermediate riders. 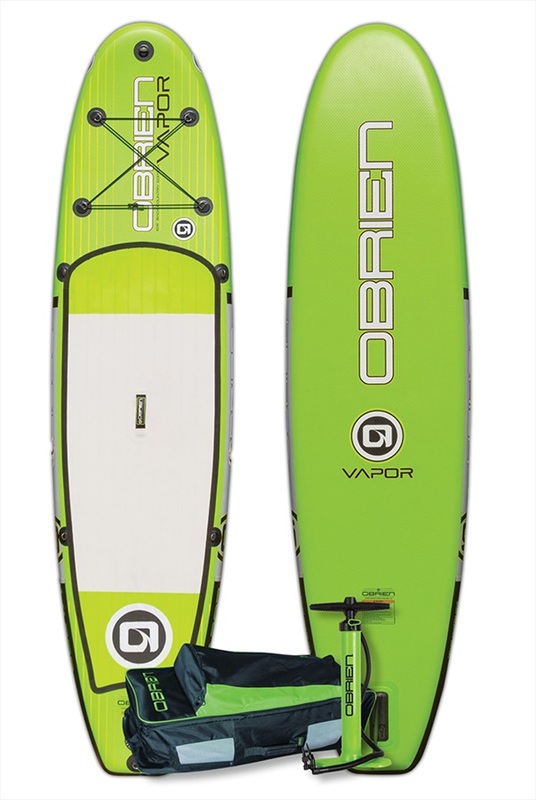 O'Brien Vapor Inflatable SUP Paddleboard Package - roller case and dual-action pump included! Jobe SUP Fiberglass Adjustable Paddle for Stand Up Paddleboarding. Jobe Aero Inflatable SUP Package 12'6" Race - tough, fast, and suitable for more extreme Stand Up Paddling! O'Brien Zephyr Inflatable SUP Paddleboard Package - Touring the back country has never been easier! Jobe Desna Inflatable SUP Paddleboard Package - quality at an affordable price. Jobe Aero Inflatable SUP and Bag Package 12'6" Race - tough, fast, and suitable for more extreme Stand Up Paddling! Jobe Yarra Inflatable SUP Paddleboard Package - for riders of all abilities up to 120 kg/ 265 lbs. O'Brien Vapor Inflatable SUP Paddleboard Package - Convenience and fun in one package! O'Brien Zephyr Inflatable SUP Paddleboard Package - a touring SUP for exploring your local waterways. Jobe Duna Inflatable SUP Paddleboard Package - perfect for touring. Bic Surf Adjustable SUP Paddle for Stand Up Paddle-boarding.